I was inspired to get my makeup tools organized when I watched an episode of Mirror, Mirror on LWN (Live Well Network) so I had to share these two easy and super inexpensive ways to get them in order. 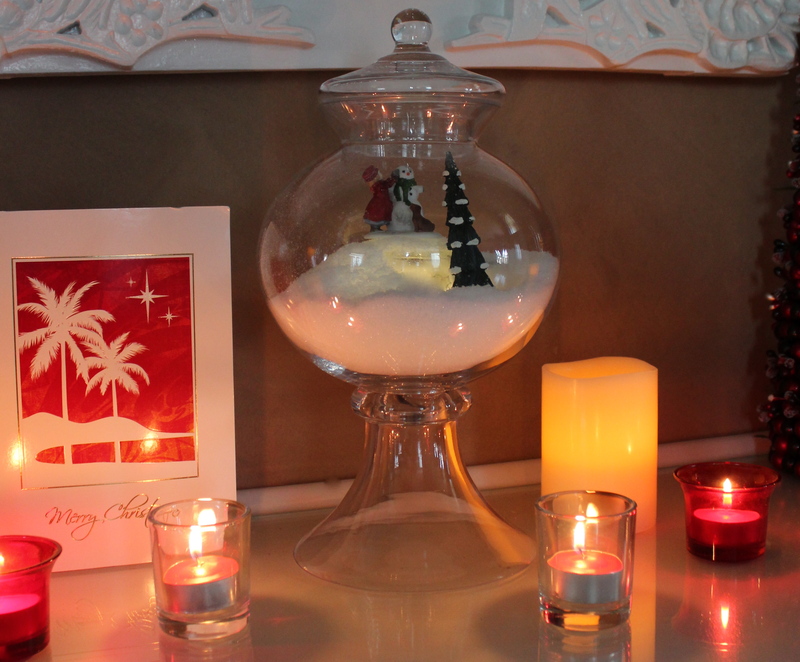 The first idea is to take a glass vase you already have at home or buy one from Hobby Lobby. I found the one above for 50% off so it was a steal at $2.50! Then fill the vase with river rock or dried beans. The bag of beans was a little over a $1. Pop your makeup brushes in and viola! It’s a chic way to keep your brushes handy on your counter. The other idea can be used when you travel or if you prefer to keep your brushes stored away instead of on display. Take a bamboo sushi making mat and weave some black elastic in between the slats. Hints: I found my mat at Cost Plus World Market for $1.99. The elastic was 50% off at Hobby Lobby so I only spent $1. Also, make sure you lay out your makeup brushes before you begin so you can determine placement and prevent the brushes from slipping out if the elastic isn’t tight enough. Once you have all of the brushes lined up where you want them and the elastic is woven through, you can hot glue the elastic to the back of the mat on the left and right sides. If you want, you can also hot glue a ribbon to both sides so that you can roll up the mat and tie it with the ribbon. There! Who knew organizing could be so cheap and easy. If you have another way to get organized with your makeup tools, I’d love to hear about it in the comments section. Hello! 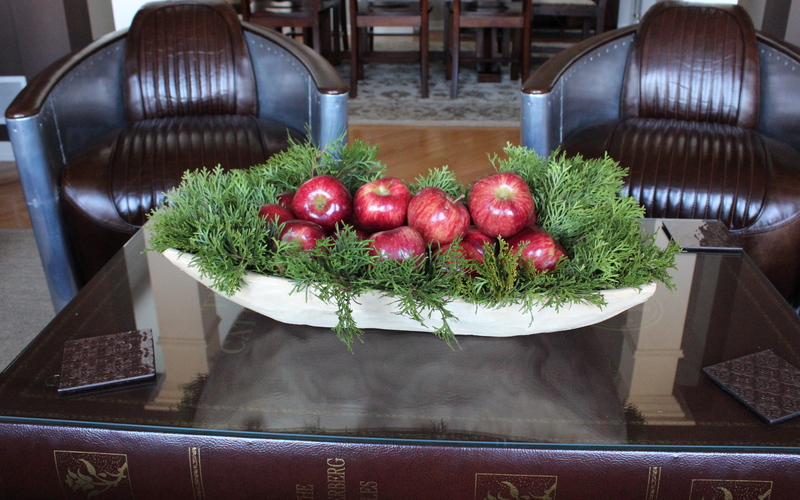 Here’s an easy and inexpensive idea to bring some greenery indoors. 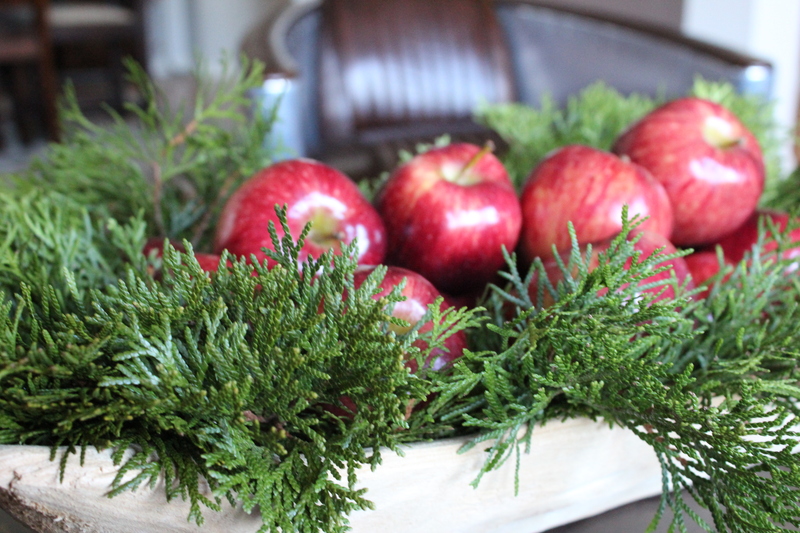 Just grab a couple of bags of apples from the supermarket, add them to a big bowl and intersperse some evergreens along the perimeter of the bowl. We have arborvitae out back around our patio so I just cut those with scissors and the result is beautiful. This bowl is one I bought last year from Target. The red and green gives this neutral room a pop of festive color. 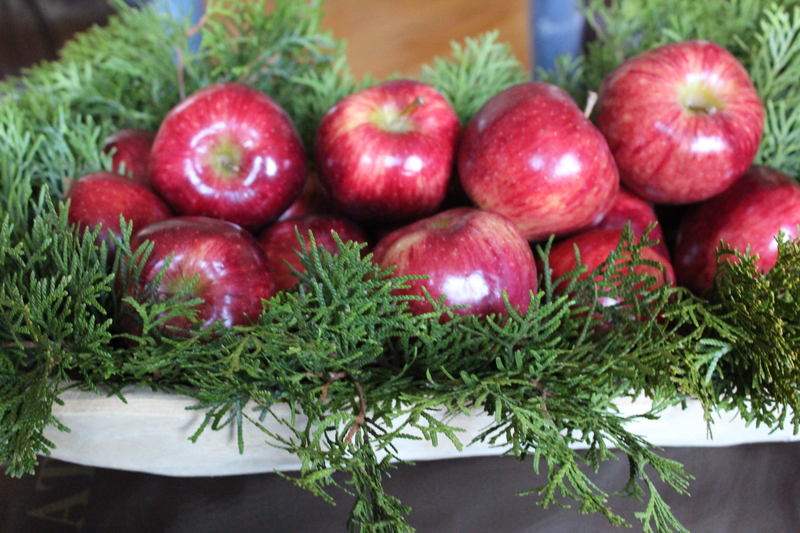 A nice bonus from keeping fruit out is that my kids can easily grab one as a snack….or guests. On a side note, I made a trip to Costco yesterday and found some amazing deals on Champagne and red wines. (Technically, I know it’s sparkling wine unless it’s specifically from the region of Champagne, but the latter just sounds sexier) I can’t wait to pop these open and share the tasting notes with you. I’ve been procrastinating the reviews from the wine from Thanksgiving because the Cannon Ball was not quite what I had hoped it would be, but my mom shared a bottle of Veuve Clicquot for us to drink to celebrate my brother and his husband’s second wedding Anniversary. That Champagne is always so smooth and drinkable. Love it!